Tonight’s line up for the Late Late Show is one you won’t want to miss | SHEmazing! It's Friday night and you know what that means. Yes, the Late Late Show will be on our screens tonight and it's got a stellar lineup. First off, we have the hilarious duo of Marty Morrissey and Bernard O’Shea whose bromance started on Dancing With The Stars and is now back on our TV's where they belng. They have a brilliant show called Marty and Bernard’s Big Adventure and they join host Ryan Tubridy to discuss modern manhood, and how they fared when tasked with surviving a night out in the wilds. Then we have fashion and beauty blogger turned businesswoman Suzanne Jackson. The creator of one of Ireland’s best-known lifestyle sites, SoSueMe.ie, she is also the founder and CEO of a bestselling beauty brand. Suzanne will be chatting about her rise to success and the influence that social media holds in society today. If that wasn't enough, Senator Michael McDowell joins Ryan to discuss the current political climate in Ireland and chats about his new documentary which examines the history of the Catholic Church and state relations, and how Rome came to shape the Irish political landscape. Dublin footballer Philly McMahon and Governor of Mountjoy Prison Eddie Mullins join Ryan to discuss what can be done to rehabilitate offenders through the ‘Unfuccced’ programme, and the supports that are needed by ex-offenders to reintegrate into society. The phenomenon of burnout will be discussed with a panel and how best to prevent and treat it. Also, there's going to be tunes from Soulé. 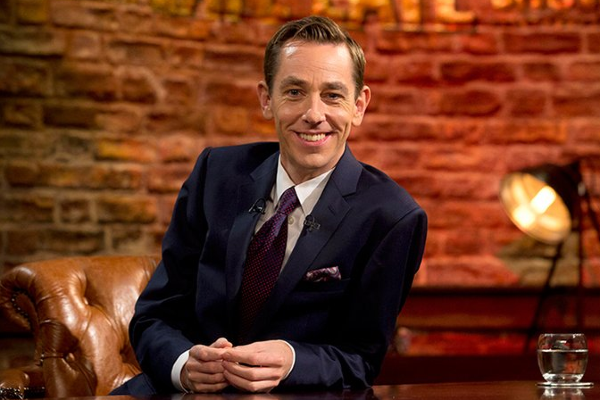 The Late Late Show is on RTÉ One, Friday, April 5 at 9.35pm.